Data-driven marketing is the newest and most effective ways to grow your customer base and grow your business. It uses data to improve audience targeting, increase customer engagement and personalized communication. With data-driven marketing, you are able to know your customers better, gain competitive advantage, achieve more accurate results and generally excel in your business. It helps you track down leads, identify where they come from and track conversion rates. Data-driven marketing is the soul of every growing business. Nowadays, marketing is driven by data and the kind of data is hugely dependent on business goals. Big organizations such as Google, Facebook, uses data to drive in customers and increase revenue. Hundred’s and thousands of businesses use data-driven marketing for their everyday marketing campaign. 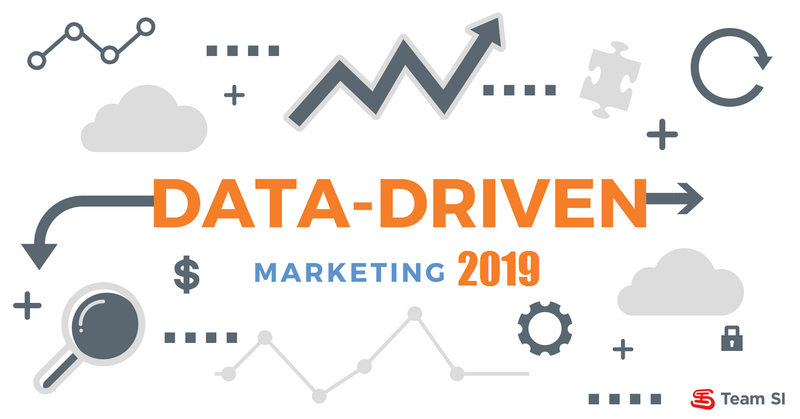 We are going to be discussing some of the ways business owners can use data-driven marketing for their marketing activities and grow their businesses. Personalization is one of the most effective ways in which marketers or business owners can use data-driven strategies to increase sales. Personalizing content and user experience will create more conversion rates and increase purchase decision. A survey made by Marketing Insider Group showed that 78% of U.S internet users said their purchase intent increases due to relevant personalized contents. When you personalized your contents, you make your audience feel that what you are selling is specially tailored for them. Personalization starts from your cold emailing campaigns, to your website and up to the point of actual sales. Content marketing is writing the right content for your audience. It is writing what your audience wants to know about. This is why before writing a content; you need to first make market research. Know what is trending and what sells best. You need to write good and engaging contents to attract more audience. Content marketing is a way of marketing your product through blogs and other social media platforms. Bloggers use content marketing to drive-in high traffic to their page. As a marketer, you can also drive-in high amount of traffic to your website through content marketing. Online advertising is a way to advertise your products and services to the public. Marketers can advertise their products and services to targeted users based on their online activities. Facebook can advertise some specific products to you on your Facebook page based on the contents you have checked on different websites. This is an example of targeted advertising. You can also use other advertising platforms such as Google Ad, YouTube, e.t.c, to drive-in more traffic to your website. Google Ad is another good online advertising platform that advertises to targeted individuals based on individual online activities. YouTube advertise based on individual online activities and location. With all these targeted advertising platforms, you are sure to drive-in quality leads for your business. Marketing Automation is using marketing tools and software for your marketing campaign. You may not be able to perform all marketing activities on your own due to other engagements. Using software to automate your marketing campaign will generate results even more than the manual way of marketing. Marketing automation saves time and energy. It reduces manpower. Big companies that do a lot of marketing relies on marketing automation software. There are some very good marketing automation software online. Check online to know the one that works best for your marketing campaign. Lead generation is all about driving-in data and converting them. Every marketing campaign focuses on lead generation. Leads are what are converted in customers over a period of time through nurturing. The conversion rates of your leads determine the success of your marketing and sales campaign. To have a good conversion rate, you need to target the right leads. You can generate leads through cold emailing, ads, websites, landing pages, forms, social media, e.t.c. A good lead generation will lead to an increase in customer base which will invariably lead to an increase in sales. Cold emailing is sending marketing emails to your subscribers to generate leads. Cold emailing is a way of sending unsolicited emails to your subscribers for the purpose of generating leads which are nurtured and converted to customers. Targeting cold emailing is sending marketing emails to targeted subscribers for a better response rate. Cold emailing is a marketing strategy to generate leads, customers and increase sales. It is a marketing strategy small and growing businesses can use to increase sales and revenue. As technology is improving and evolving so is marketing. Marketing has evolved from just TV and radio advertisement to data-driven marketing. As a business owner, marketing or salesperson, data-driven marketing strategies are what you should use to increase your customers and sales. To get started with data-driven marketing, you need to know what you need to do. You need to have clear goals and know how to achieve those goals. You need to know what data you will be collecting, the tools you will be needing to collect these data, and how all these will affect your current marketing processes. CustomerLabs gives freedom, flexibility and wings to digital marketers. Unify your customer data across marketing tools without coding or developers. © 2019, Customer Labs Inc. All rights reserved.